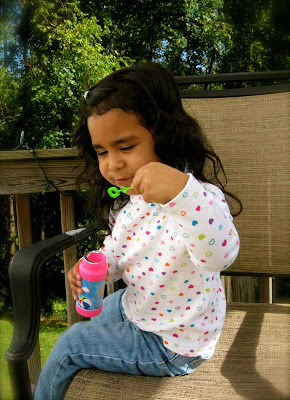 As she sat quietly out on the deck alone, blowing her bubbles, I caught glimpses of her from the corner of my eye. She's growing up. She's getting big. She's going to make a fine young lady one day. One day all too soon. 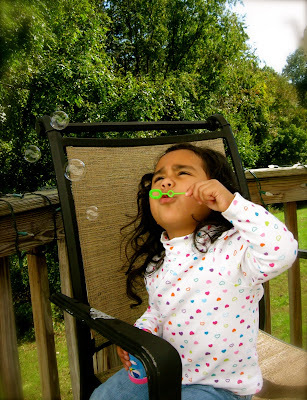 And I couldn't help but capture this moment of childhood in photos before the moment was gone.